Critical congenital heart disease (CCHD) refers to a group of heart defects that can cause various complications shortly after birth. 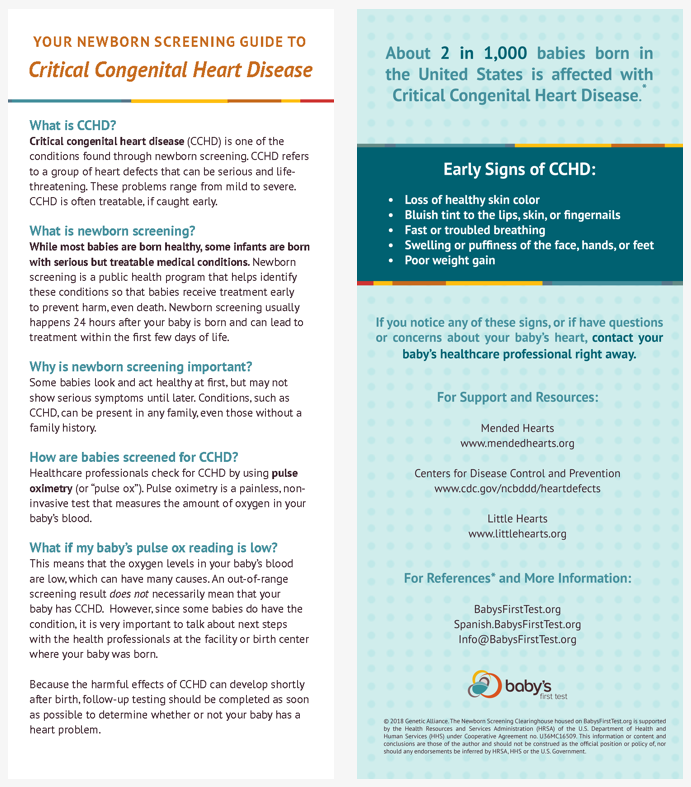 This lightweight, double-sided brochure provides new and expecting parents with an overview of how newborn screening for CCHD is done, the importance of timely screening and intervention, and CCHD support resources. To view the Spanish-language version, click here.